Pt. 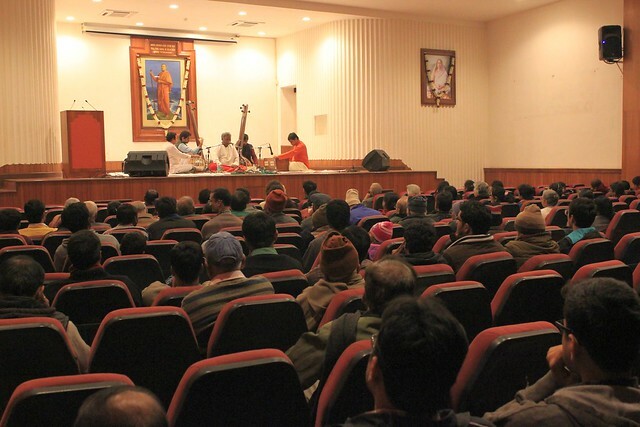 M. Venkatesh Kumar, a renowned vocalist, gave an enthralling performance of bhajans in Hindustani Classical style at Ramakrishna Mission, Delhi on 27 Dec 2015. 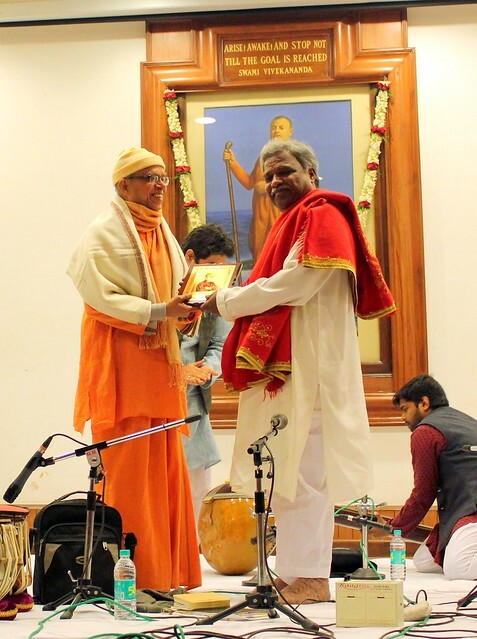 Dr. Vinay Mishra of Delhi accompanied him on the harmonium and Sri Keshav Joshi of Dharwad provided excellent support on the tabla. 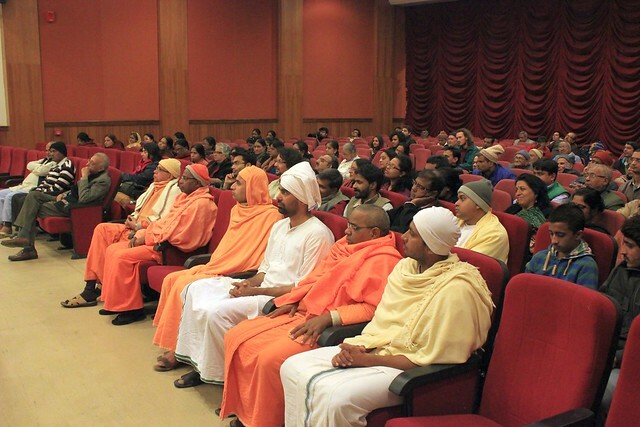 Recordings from the evening are presented here. 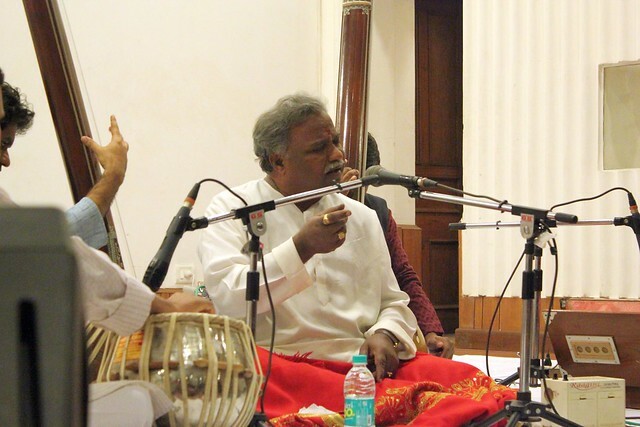 Pandit M. Venkatesh Kumar is an Indian Hindustani classical vocalist. 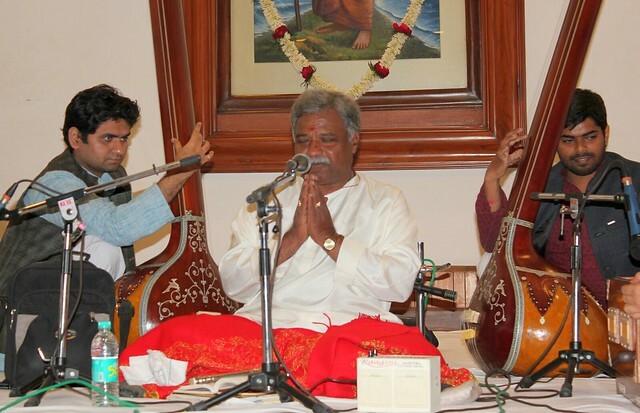 Born on 1st July 1953 in Lakshmipura in the Dharwad region of northern Karnataka, he is renowned for his husk, vibrant classical singing style. He is also popular in singing Dasara Padas & Devotional songs. Kumar learnt Hindustani vocal in the Gwalior and Kirana gharana styles under Gawai. 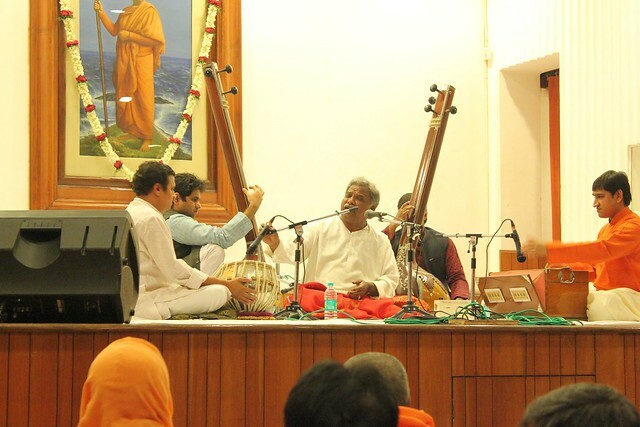 Kumar blends these styles effortlessly in his presentations, though he admits to influences beyond these gharanas, chief among them being Ustad Bade Ghulam Ali Khan of the Patiala gharana. 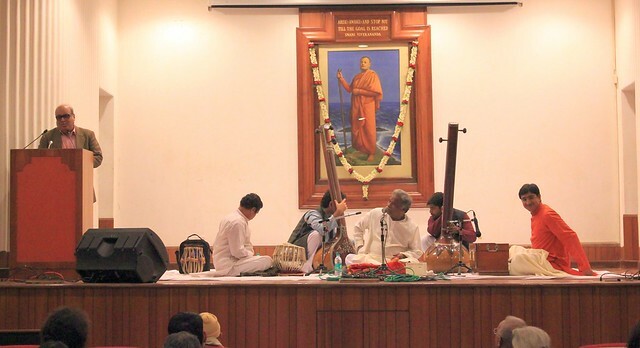 His guru was also trained in Carnatic music, and as a result, there are traces of Carnatic elements – especially in his sargam patterns – in Pandit Kumar’s music. Pt. 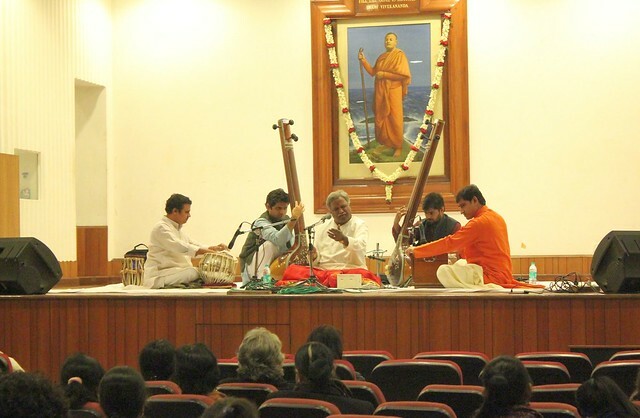 Venkatesh Kumar is gifted with a mellifluous, robust and vibrant voice, rich in tradition and deep in devotion. His vast experience and deep-rooted commitment has made him a name to reckon with.